Romain Bigeard has been appointed as the Business Development Manager for Riot Games and as On-Air Talent for the LEC. As part of his role, he will be helping to integrate the team into the LEC – the competition formerly known as the EU LCS – ahead of its newly-franchised relaunch. Romain Bigeard most recently served as the General Manager of OpTic Gaming. He joined the North American organisation when it entered the NA LCS as one of its 10 franchises in 2018. 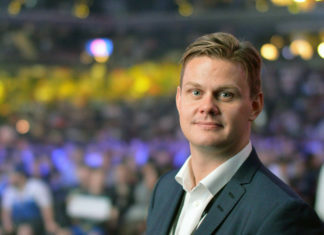 Originally starting out as the General Manager of the League of Legends franchise, he transitioned to General Manager of the entire organisation before departing “due to a difference of opinion regarding the future of the LoL department” in October. I'm officially integrating @riotgames bussiness development team to support the @LeagueOfLegends European Championship #LEC. I'm also joining the broadcast crew for some surprises on air and on stage. God I missed Europe. Good to be back. Prior to joining OpTic Gaming, he truly made a name for himself as Team Manager for Unicorns of Love. His previous posts include acting as a Esports Specialist Europe and Marketing & Event Assistant at Razer and Marketing & Event Assistant at Activision. On November 20th, Riot Games announced the LEC. The change of name wasn’t the only major alteration to the competition: it is now a franchised product with 10 long-term partners joining the fray. the 10 franchises are Fnatic, FC Schalke 04, G2 Esports, Misfits Gaming, Splyce, Team Vitality, Origen, exceL Esports, SK Gaming, and Rogue. Esports Insider says: Bringing on Romain Bigeard as on-air talent for the LEC is a great move by Riot Games; he’s made plenty of appearances on-stage at numerous LoL events and is loved by seemingly everybody. His other post as Business Development Manager would have been a lot harder to guess based on his past experience but he’s undoubtedly learned a lot during his tenures with UoL and OpTic Gaming.